Image by neekoh.fi via Wikimedia. Americans have been shooting one another without intent since before the first settlers arrived. In 1637, three ships entered Boston Harbor. One of them could not find exactly where to anchor. 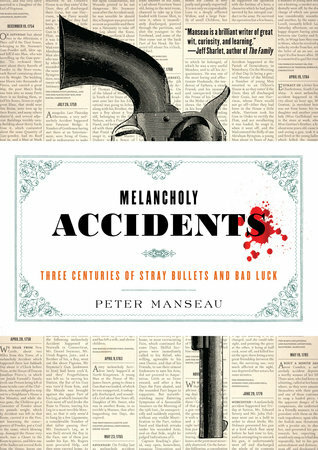 Someone on one of the other two ships fired a shot to direct the errant vessel, but instead killed one of its passengers, “who had survived the ocean passage only to be shot dead upon arrival.” Peter Manseau describes the incident in Melancholy Accidents: Three Centuries of Stray Bullets and Bad Luck. The book contains reprinted newspaper notices of unintentional shootings, then known as “melancholy accidents,” from 1739-1916, in chronological order. For the modern-day equivalent of Manseau’s collection, just plug “shooting accident” or “accidental shooting” or #gunfail into a browser. There is no end to the ways in which people can unintentionally kill each other with guns, and in this particular type of gun violence, the shooter and the victim usually know one another. They are siblings, parents, grandparents, neighbors, and best friends. These stories capture the moment close relationships are suddenly and irrevocably severed. A reader is left to imagine the ways in which the bonds among the survivors might also be mortally fractured. It happened on a Sunday evening in May 1975, when the tufts of crabgrass in our backyard had begun to soften with the dew. I was twelve years old, standing under the apple tree between our small Cape Cod house and my dad’s gun shop, amidst a chorus of lawn mowers and rowdy kids playing hide-and-seek as the sun went down on our working-class town about an hour’s drive west of Philadelphia. Gunsmithing was a part-time endeavor for my father; he was a full-time high school German teacher. His shop was a single-story concrete structure with a few windows on each side. It looked like a one-car garage with a door for a vehicle and another door for people, the customers, including the local police, who brought their weapons to be fixed. Inside, the smell of bluing oil and kerosene hung in the air. There was a counter where business took place: customers put down their guns, took them out of their cases, and told their stories. At the other end of the room was a workbench with tools and plastic drawers filled with countless parts. The phone numbers of customers and parts dealers were scrawled in pencil on the wall behind the workbench. Underneath, boxes with wooden stocks and metal barrels cluttered the floor. That night, Dad was in the shop with the superintendent of the local school district, who had brought a handgun to be fixed. When the “pop” of a discharge sounded, for a couple of minutes it meant nothing. My dad often test-fired guns in the shop. The concrete block walls muted the firing, and over the years I’d gotten used to it. No, it wasn’t the gunshot that put an end to the soundtrack of my childhood, but my dad’s voice, a sweet tenor that led the church choir and soloed at weddings. Only now it rose in desperation, crying from the other side of the shop. I darted past the rusty swing-set and along the side of the shop, until I came to the gate that separated our yard from our neighbors’. We anchored that end of the block along with Mr. and Mrs. Randall.11Names have been changed. As I clung to the chain link fence, I watched my dad, about ten yards away, in his white tee-shirt, khaki trousers, and black shoes, on his knees in the Randall driveway, cradling Mr. Randall, a kindly man who had recently retired and was starting a small business selling worms to other fishermen. Tears were running from under my dad’s glasses and down his cheeks. I had never seen him cry before, never heard his voice pitched so high and cracking. Someone call an ambulance. Please, God. I don’t remember how I ended up in the house, jockeying with my siblings for positions around bedroom windows that looked out onto the backyard. Somehow, we came to understand what had happened, bits and pieces of the story landing on us like firecracker ash: an accident… a jammed gun… Mr. Randall in his garage… a bullet in the stomach and out through his back… still alive. Mr. Randall disappeared into the back of an ambulance on a stretcher. Our dad got into the back of a police car. We didn’t know when he would return. That night our dad’s sister came over to stay with our mom in the kitchen. We children huddled in an upstairs bedroom and attempted to construct narratives that made sense of this seemingly incomprehensible event. How did this even happen? Would Mr. Randall survive? I had spent many hours helping my dad in his shop and identified strongly with him then. And I was in the seventh grade, a time of hyper-awareness, especially for a girl, so my initial thinking was even more self-centered: Why was this happening to Dad and to me? I was one of six children who did not know if their father, the sole breadwinner and center of familial attention, would end up in jail, especially if Mr. Randall didn’t make it. What would become of us, of me, then? For years, the facts of the accident remained blurry, perhaps intentionally so. What I think I knew then, much of it from the newspaper: My dad had test-fired the faulty pistol while aiming at a wooden backstop with a target on it. The target may have been below a window, not in its usual location against a full-height concrete block wall. He fired once and, without his knowing it, the pistol ejected a second bullet as his arm went up on the recoil from the first shot. He and the superintendent heard Mr. Randall moaning a few minutes later and went to see what was wrong. They then realized what had happened. Mr. Randall had been in his garage, with the door up, not more than ten or fifteen yards away, when the stray bullet quietly pierced the gun shop window and then passed through him, all in less than a second. My family immediately began calling it “the accident.” Perhaps we took our lead from the paper, which initially described what had happened as a “mishap.” Still, I took some comfort from that first headline on Monday morning, which read, “Mishap at Gunsmith’s: Gun Fires Accidentally; Man Next Door is Wounded.” “Mishap” and “accidentally” gave my father―gave all of us―an out. “Mishap” minimized all of it. “Accidentally” made it sound as if it were fate or God’s will, which I certainly believed in. “Gun fires accidentally” was devoid of human agency, as if the gun had not been in my father’s hand, or anyone’s hand. “Man next door is wounded” used the passive voice. Again, the person holding the gun was nowhere to be found, as though the gun had behaved of its own accord. What readers were left with was this: fate caused a gun to go off and minimally injure a bystander. Reading that headline and the story the next morning, I realized that not everything I read in the paper was necessarily true. Or, more specifically, that news accounts didn’t necessarily convey the blood, the tears, the adrenaline coursing through limbs, the fear of not knowing what the future held for the private lives of the people beneath the public narratives. And yet I saw how the public narrative was already being managed and manipulated to become something that a community might be able to live with. The beneficiaries of this particular narrative were the offender, his family, and the zoning and law enforcement officials who had known such dangerous activity was taking place and had done nothing to stop it. On Tuesday morning, another article, this time on page two, suggested the ways in which my father might be culpable. His gun shop was illegal. The Borough authorities could not find evidence that he had ever gotten a zoning variance to run the business, and the discharge of any weapon in our town was against the law. So, our father had been negligent. The shop had been built in 1969, six years earlier, ostensibly as a garage for parking a car, but it had never been used as such. Had he really been breaking the law all that time? Later that day, when we came home from school, we learned that Mr. Randall had died. He’d had internal bleeding, another surgery. A couple of the neighborhood women were sitting at the kitchen table with our mother, waiting for our dad. My sisters and I quietly went upstairs to process this new information and spin out more possibilities. What would happen now? In the early days, we obsessed over the unlikelihood of all of it. The shop had concrete block walls and a few windows with metal grates on them. After puncturing the window, the bullet had passed cleanly through one of the holes in those grates. Maybe none of this would have happened if the bullet had hit a wall or if it had hit the grate. It might have been stopped, slowed or changed course. And what if Mr. Randall, who had simply gone to get some gardening tools from his garage, had been standing six inches to one side or the other when the bullet came along? What if he had been sitting on the patio with Mrs. Randall instead, enjoying the end of a pretty spring day, the way they often did? What were the chances that all this would come to pass exactly as it had? This “what if” phase seems to be common to the narratives told by those who survive such deadly events. At twelve years old, the same age I was when my father’s accident occurred, Gregory Orr, now a professor of English at the University of Virginia, accidentally shot and killed his younger brother, Peter, while hunting with his father and brothers in upstate New York. In his memoir, The Blessing, he recounts what he believes were some of the contingent possibilities that may have haunted his parents. A grandparent who told his physician father, “Jim, you can’t have all these guns loose around the house with all these kids. Someone is going to get hurt.” His mother’s pleas that morning to let the two younger brothers accompany the older ones on the hunting expedition in the first place: “Jim, maybe they could go just this one time.” And then, of course, there is Orr’s own child’s mistake of not properly pointing his rifle straight down in order to discharge it. Like our dad, who had been taking apart guns and putting them back together since he’d been a teen, we broke his accident down into its component parts and assessed each piece, each juncture, for a clue as to where things had gone wrong. What were the parts that anyone had control over? Or, in a cruel way, had it actually been out of our father’s hands, attributable to bad luck or fate or God’s will? The young Orr, back at his house after the accident, sequesters himself in his bedroom, grieving and unwilling to face anyone. When his mother enters the room, he apologizes profusely but tells her to go away. She stays, assuring him that it was an accident and, in fact, that his father had killed a friend while hunting when he himself was Orr’s age, a stunning revelation. But she doesn’t offer Orr any physical comfort. Despite his earlier words sending her away, what he wants most is a warm embrace from his mother, but he never gets it, and he soon enters a state of long-term, self-imposed penance, believing himself to be monstrous. Reading Orr’s book for the first time, decades after the death of Mr. Randall, I thought of my father at the police department downtown before he came home later that night after we were all supposed to be asleep, before I heard him crying to my mother and his sister, “He was a good man. He was a good man,” already speaking of Mr. Randall in the past tense, as though he were fearing the worst. Had he, too, been sickened by the story he had to say out loud, with the visceral memory of holding the wounded Mr. Randall in his arms? Orr, whose life’s work as a poet becomes centered around language and meaning-making, cannot accept the word “accident” to describe what happened. If there was no plan, then maybe the god who ruled this world was named Accident, a god who joyed in randomness, who ripped apart lives for no reason, who swallowed stars and toyed with the Void. But this was an insupportable idea. How could I live in a world where everything was random, where Accident ruled and where one day I might wake to sunshine and blue sky and another, find my own brother dead at my feet? Accident. Unbearable word, unbearable world. He decides, instead, that there must be a God who has made this happen. “I had a choice: I could try to live without meaning, or I could bow before this God. I bowed.” My family was devoutly Catholic, and we, too, bowed before God. “Unintentional shooting” is a category of gun violence that lurks in the shadows of mass shootings, domestic violence, and suicide. Today, the public health community, including the Centers for Disease Control (CDC), uses the term “unintentional shooting” instead of “accident” or “accidental shooting,” since the latter imply something that is out of the control of those involved, when in fact, if one examined any number of situations involving “accidents,” with a gun or a car or a speed boat, for example, one would likely find ways in which these unintended events could have been prevented. There is a whole field of research dedicated to injury and violence prevention in which intentionality is removed from the equation. It’s understood that no one meant for the event to happen, just as my dad never meant for a second bullet to discharge that night. By removing the notion of intentionality, researchers are ostensibly setting aside the specifics of any given situation to treat guns like other products that can result in harm—cigarettes, playground equipment, all-terrain vehicles, for example—and then trying to find ways to minimize the risks associated with them, by influencing their design or public policies, to improve public health outcomes. But language only goes so far without research and statistics to understand the patterns of death and injury attributable to guns and how they are used and stored. The public health community, of course, has been muzzled in a key way by the National Rifle Association, its lobbyists, and the legislators who are beholden to their donations and support. Since 1996, the CDC has not conducted firearm injury research because of the Dickey amendment to that year’s appropriations bill (named for former U.S. House Representative Jay Dickey (R-AR)). It read, “none of the funds made available for injury prevention and control at the Centers for Disease Control and Prevention may be used to advocate or promote gun control.” While the CDC would not necessarily be advocating or promoting gun control simply by conducting firearm injury research, the language has been enough to stifle such research. Prior to the passage of the amendment, $2.6 million which had been available the preceding year for such research was taken away. On Wednesday morning, the news of Mr. Randall’s death, along with a photo of him smiling heartily in a tuxedo, was on the front page. The article was an extended obituary, reminding us all of the life that was now extinguished. Dad disappeared, too, for a while. He finished out the school year, but when he came home he succumbed to the anti-depressants and anti-anxiety medications prescribed by the family doctor, curling up in his bed and no longer joining the family at the dinner table. Then, as the days and weeks passed, no charges were brought against him. My siblings and I figured it was because he had done work for the local police. The town had known all about my dad’s business, and no one had stopped him. In that way, the Borough was culpable too. But not having criminal charges filed did not inoculate my father, or any of us, from the reality that Mr. Randall was dead by his hand. Dad, who typically teased us mercilessly and talked tough about protecting us from crime, remained subdued, and a kind of silence set in. We weren’t the kind of family to acknowledge pain, except perhaps to poke fun at someone else’s, let alone traipse through complicated emotional terrain, and we certainly had no road map for this. I didn’t know it then, but Dad wasn’t talking much to Mom about what had happened. He looked outside the family for comfort and, perhaps, some kind of forgiveness. He went through a spell where he’d awaken in the early morning hours, tormented, unable to sleep. He’d give his cousins Marge and Punky Conklin a call and drive to their place across town. They were charismatic Catholics, and they’d put on a pot of coffee, pray together, and try to sort things out until the sun came up. After some period of time—it is vague in my memory—with the help of his medications and the support of our church, my father mostly returned to his old self. That summer I wasn’t sleeping well either, and during the day I took refuge in the nearby neighborhood of a girl who had been new to my school that past year. Karen had three brothers and also liked sports. Her dad helped organized basketball, softball, and touch-football games with all the neighborhood kids, and now included three of my siblings and me. Without a word ever being spoken about the accident, Karen’s house, front porch and street, and the fields a couple blocks away at the high school, became my refuge. When the summer ended, I dedicated myself to sports, especially basketball. At the hoop at the elementary school a block from my house, I could shoot around and create drills and scenarios for myself in which I eventually triumphed. I could also be alone and avoid my own neighbors, especially Mrs. Randall, who still lived next door. Sometime in the months after Mr. Randall’s death—for many years, the chain of events was foggy to me—despite the continued lack of a permit to run his business, my father began repairing guns again in his shop. It astounded and angered me. I imagined Mrs. Randall, newly hurt every time another man with a gun showed up next door. I was no longer interested in spending any time there. I now knew what a bullet could do. I must have been around thirteen years old by then, and I couldn’t fathom how my dad could ever touch a weapon again in his life. Mr. Randall was dead, Mrs. Randall was a widow, and the hunters and police were once again stopping by, as though the accident had never happened. In The Blessing we experience the suffering of the narrator on the page; we see the father leaving the mother four months after Peter’s death. We know there is a chasm in this family that may never be bridged again. Not so with my family, not outwardly. To look at us, you might not know anything horrible had happened at all. There was a premium placed on silence, endurance, and normalcy. My mother, the stoic and dutiful wife, may very well have provided the emotional ballast for this. There was, however, one form of semi-public consequence for the accidental shooting. In October of that year, about five months after the accident, Mrs. Randall filed a civil suit against my parents and the Borough. The school superintendent and the store that had sold him the pistol would eventually be enjoined. A separate suit would be filed against the local hospital. I say that it was semi-public because the case against my parents would proceed for more than six years out of view of the community and my siblings and me, except for an occasional update about the court date being pushed off yet again. Apparently, our homeowner’s insurance company would not agree to cover any damages since the gun business had not been declared on the policy. But this was Mrs. Randall’s only chance to have her side of the story heard, to try to gain some public recognition of the value of her husband’s life. Fundamentally, the civil action demanded to know: Who was to blame? And what kind of punishment and reparations were appropriate or possible? During my college years, it appears I spoke of the shooting to only a couple of people—the man who would eventually become my husband and one of my roommates. I had been recruited to play basketball at Princeton, about seventy-five miles away from home, but it may as well have been another universe, one in which I could start over. With no internet, social media, or online news in 1980, no one at college ever had to know about Mr. Randall unless I chose to tell them. I stayed in central New Jersey after graduation and got married the following year, while my parents and Mrs. Randall continued living next to each other until 1988, more than thirteen years after the accident, when my parents finally moved across town to a commercially-zoned property where my dad put up a new gun shop. During these years, I rarely thought about the shooting except when I went home to Pennsylvania for holidays or quick visits, seeing that yard, the shop, and Mrs. Randall’s house. A secret, though, takes on a life and power of its own and, at some point, the death of Mr. Randall became entwined in my mind with my dad’s obsession with guns and his increasingly shrill espousal of the values of the National Rifle Association and homegrown militias, especially during the years of the Clinton administration. In my mind, my dad’s anger and paranoia also became linked to the downward economic spiral of my town since I’d left for college. Pottstown now struggled with private sector disinvestment, unemployment, drugs, violent crime, and a decaying housing stock, all against the backdrop of two nuclear reactors belching steam, thick with portent. There were now more reasons than ever to keep the details of my childhood very much separate from my life, friends, and progressive politics in suburban New Jersey. I felt safe away from this other America. And yet, I became a parent during these years, and there is nothing like life circling around to force secrets to surface. When I got home, I immediately took the book to my study and closed the door. The Rifle is the story of a gunsmith during the Revolutionary War era, who lovingly builds a rifle with near-perfect aim. It’s recovered from a battlefield, still loaded, and then passed down and sold through several generations until the modern era. A collector hangs it over his fireplace. A spark from a fire causes the rifle to accidentally discharge, sending a shot through two windows, killing a child next door. I read, transfixed, on the verge of tears. And yet it was oddly a comfort and a revelation: this had happened to other people, even if they were just characters in a book. A few nights after I read it, I sat on the edge of my son’s bed and turned it over to him. My voice had trembled, and he looked at me strangely. Months would pass before I asked him if he had read it, and he said, “yes,” and I let it go. I simply couldn’t talk about it. How do you talk about a family secret in a way that feels organic, and not just some random moment when Mom wants to unburden herself of the sadness, regret, and shame she feels for her childhood and her parents, which is linked in her mind to a decaying place that she has escaped? When is the “teachable moment”? You don’t want to be like your family of origin, covering over the worst parts, and yet, that is what you have done. You have remained silent. The moment arrived when my son asked to play paintball, and I responded with a barrage of safety questions, my heart tapping out a crazy maternal beat. We’d just pulled into the garage after school, and I had my sons’ attention. Let us call them Remy and Buzz. They weren’t used to seeing me cry, let alone behind the wheel of the mini-van. Remy, the twelve-year-old, was in the front passenger seat and Buzz was behind him. I turned off the car and looked over at Remy. He had a shock of thick, dark hair and soulful brown eyes, wide now. He was the same age Gregory Orr had been when Peter died. He was the same age I was when the shooting occurred. I didn’t think that he and Buzz knew what actually took place in the concrete building behind their grandparents’ house, even though they’d been to the house many times for family gatherings. Although some of their cousins had been in the gun shop, I had never offered to take them down to it; I didn’t want them to know their grandfather in that way. I was repeating myself. I started over. Remy shook his head, as did Buzz. I half-turned in my seat so I could speak to both of them. That gave me a jolt. Had I implied otherwise? Did I sound like I was blaming my father? Remy was being perfectly objective about the details he’d just heard. The trauma and the shame of the actual event had nothing to do with their lives, or the way they saw the world or their grandfather, and I, apparently, was still sorting out my feelings about all of it. And, of course, I hadn’t told them about the zoning violations. Before You Know Kindness by Chris Bohjalian is a fictional account of an accidental shooting between family members. A Vermont man, who has recently begun hunting, leaves a jammed rifle in the trunk of his car during a family vacation at his ancestral home in New Hampshire, intending to drop it off at a gunsmith’s on his way home. One summer night, his niece, again, twelve years old, gets drunk and high, disregards her younger cousin’s warnings, takes the gun from the trunk, and shoots it into a garden where she believes there’s a deer eating the produce. Unbeknownst to her, her father is the creature in the garden and the shot explodes into his right shoulder. Her father is a prominent animal rights activist in Manhattan and adamantly anti-hunting. Initially, the family’s members are forced to confront one another; it is unavoidable. The daughter who has shot her father questions why she ever picked up the gun; she has generally abided by her father’s rabid vegetarianism, although the reader knows that she is questioning it all. Maybe she did mean to kill a deer. But the essential conflict becomes the silent standoff between the brothers-in-law as the activist and his organization decide to file a suit against the gun manufacturer, the public nature of which will put not only his brother-in-law in the spotlight as an irresponsible gun owner, but his daughter as the shooter. While the novel explores the nuances of the fissures in the activist’s family, the set-up relies on the politicization of gun rights. Before You Know Kindness was published in 2004. We’d already lived through Waco, the Oklahoma City bombing, and Columbine. The regulation of firearms was on the front pages and in the minds of Americans. A typical reader would be aware of the rural vs. urban dichotomy on gun rights/ownership and the hunter vs. liberal animal-hugger stereotypes. The family, as a whole, triumphs in the end. The vegan animal-hugger becomes more self-aware and spends more quality time with his daughter and wife. He has lost an arm, but becomes emotionally stronger for the experience. Of course, no one has died. His daughter admits to her inebriated state. The hunter brother-in-law admits his carelessness. Talking through the emotional and behavioral issues that may have contributed to the conditions that allowed an unintentional shooting to take place wasn’t my experience with my family. My dad was never accountable. There was a huge void where there might have been some kind of confession, a conversation with his own kids. My father’s backstory is also not so easy to categorize as those of the characters in Bohjalian’s novel, and I did not become aware of much of it until the past decade, when I began to search in earnest for more information about Mr. Randall’s death, the civil litigation, and the circumstances that led to my father being in that situation in the first place—test-firing guns in the middle of our residential neighborhood. In many conversations with my father, a picture began to emerge of a history of recklessness with guns as a teenager: skipping bullets across the Schuylkill River to scare fathers and sons who were fishing; shooting at a group of teens who had beaten up one of his brothers as they tried to cross a bridge across the river; converting a Mossberg rifle to a machine gun in the shop at school; and smuggling a handgun in a trumpet case on a high school band trip. For the latter offense he earned the ire of the band instructor, but no punishment. Today we might categorize all these as manifestations of white male privilege in small town America in the 1940s, one “boys will be boys” scenario after another. But there were also intentional threats made on two occasions that my father recounted. Once he pulled a gun on three black men who jostled him on a Saturday night on our town’s crowded main street because, he said, he felt threatened. The following Monday, because there were so many witnesses, word got back to the police and he was called into the chief’s office. But he left with only the proverbial slap on the wrist. I wondered if he was forgiven for threatening the men of color based on underlying racism in the police force. And there was the time he pointed a loaded gun at his own drunk father, who was ascending the stairs to his sons’ attic bedroom. My father chased his father out of the house, down the street along the railroad tracks, and into the nearby firehouse where his father did much of his drinking. One of my grandfather’s friends eased the gun out of my angry father’s hands before he could get into the firehouse. Again, there were no consequences, leaving me to wonder if the men in the community understood the domestic violence that my dad was up against—a first-born male feeling responsible for the safety of his siblings and mother. I’ve since seen news clippings about my grandfather putting his hand through glass at the firehouse late one night and having to go to the hospital, and another time when my grandmother swore out a warrant for his arrest. With all this as backdrop, it now seems possible that the death of Mr. Randall was the culmination of a long chain of individual fear, recklessness, and hubris, as well as of systemic failures by the police, teachers, and zoning officials. My father’s modus operandi—his need to surround himself with guns—and the town’s institutional modus operandi—to allow him to contravene the law—outlived Mr. Randall. Stunning in its insensitivity and narcissism, within a couple weeks after Mr. Randall’s death, my father asked Mrs. Randall to sign off on a zoning variance so he could operate his shop legally. With her son-in-law acting as interlocutor, she refused. Nevertheless, he began to repair guns again—there was no mistaking the men with weapons in hand going in and out of the shop—and the town zoning officials never issued a citation against him. This is spelled out in a letter that Mrs. Randall dictated to her daughter, which may never have been sent, addressed to a state senator, complaining about the way the entire case was being handled. My father has admitted that he never got the required variance. The civil case against my parents was settled out of court in January 1982. My father has said that they paid $15,000 to Mrs. Randall. He knew it was a pittance for the life of a man, but it was all they had. It came from money my mother inherited from her own father a few years earlier. Through her lawyers, Mrs. Randall had said these things to my parents. They, through their attorney, responded with a detachment that belied the anguish they must have been feeling. Because I knew the people involved, I could see how the legal system erected its own barriers, through language, to limit liability and keep the parties from authentic reconciliation. A very different kind of reckoning takes place in “A Shooting Accident On The Farm,” the second section of Out of Africa, a memoir by Isak Dinesen.22I want to acknowledge that this is a colonizer’s text. 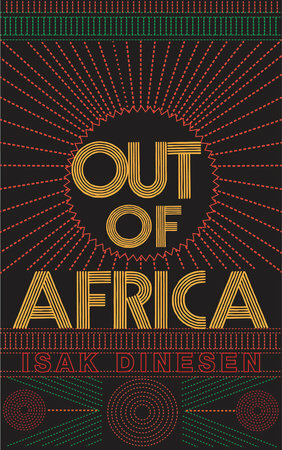 Dinesen writes in a way that distills the characteristics of various tribes into sweeping statements about their fundamental nature. It “others” them. Seven-year-old Kabero, a member of the Kikuyu tribe, unintentionally injures several friends and kills one with a single blast when showing off the loaded shotgun of his master, an American no less, who has left it loaded on the front porch. Kabero runs off, and his fate is unknown, while one boy recovers in the hospital from a devastating facial wound. The narrator and owner of the coffee plantation on which this occurs finds herself embroiled once again in matters of justice among her employees. She is, in some sense, the final arbiter, but the real wrestling with reparations takes place among the male elders of the Kikuyu during a public gathering, known as a Kayama. The elders sit for long stretches, negotiating the value of a lost life or disfigurement in terms of cows and goats. This is a form of restorative justice, in which the surviving parties and their families meet face to face to hash out the reality of the harm that’s been done, while also allowing the offender to publicly admit wrongdoing and, through an agreed-upon settlement, re-enter the community having made amends. It seems a much more humane and psychologically healthy reconciliation process than the private suffering and legal maneuverings, which went on for more than six years, following the shooting of Mr. Randall. Back in 1972 John Updike published a short story called “The Gun Shop” in The New Yorker, wherein the magazine’s urbane readers could briefly inhabit a world that was probably largely unknown to them, one in which rural folks knew more than city slickers, “real” men clustered on either side of a counter to speak the language of guns, and a father had an obligation “to impart the taste of the world” to his son. It’s a well-crafted story. Given the highly-charged atmosphere around any depiction of gun culture these days, though, it also strikes me today as a quaint bit about a lost America. In the story, three generations—grandfather, father, son—descend upon a gun shop in southeastern Pennsylvania on Thanksgiving to try to get a Remington .22 rifle repaired so that the youngster can have his traditional tin can-shoot in the woods while visiting his grandparents. A kind of adventure unfolds in the gun shop, which is in the cellar of a ranch house. “Cartons, old chairs and sofas, a refrigerator, piled newspapers, gun racks lined an immense cement room. At the far end, there was a counter and, behind it, a starkly lit smaller room, a workshop.” It’s a magical man-cave where Dutch, the gunsmith, can fix anything despite missing half a finger. The grandfather and grandson are both named Murray. Then there is Ben, sandwiched between them chronologically. Having left the world of his childhood to go to college and become a lawyer up in Boston, it becomes evident that he is the outsider in the gun shop, even more so than his son who hasn’t yet had a chance to accept or reject membership in this particular brotherhood. For Ben, the shop is a place where stories are told, where things happen. Perhaps he feels this way because the older men have served in the military, and he has not. They know something about being armed and prepared to fight, even if they may not have actually seen action. Up until I was twelve years old, this was my experience of my dad’s shop, just 20 miles from Updike’s childhood homes in Shillington and Plowville. As a child, I relished doing odd jobs for my father and being allowed to lurk in this secret world of men and their stories and their weapons, which were, it seemed, a source of their power. When I first read Updike’s story, I was in my forties, and it helped me remember what it was like to be a child who admired and loved her father unconditionally, on his terms, on his turf, without questioning the premises upon which he ran his gun business, or even owned his many guns. Whenever I re-read the story, these warm feelings briefly course through me. I remember what it was like to think I was safe, that my dad could protect me from anything. I also feel like I know this world, which remains a kind of home to me even with all of its attendant mysteries—of maleness, fear, defensiveness, aggression, and death. And yet, those feelings of comfort are fleeting, and those recollections always end abruptly the same way: My dad shot Mr. Randall, and that will never go away. Sue Repko is a writer, high school English teacher, and urban planner. Her essays have been named notable in The Best American Essays 2016 and 2017. She is currently working on a memoir about an unintentional shooting from her childhood.